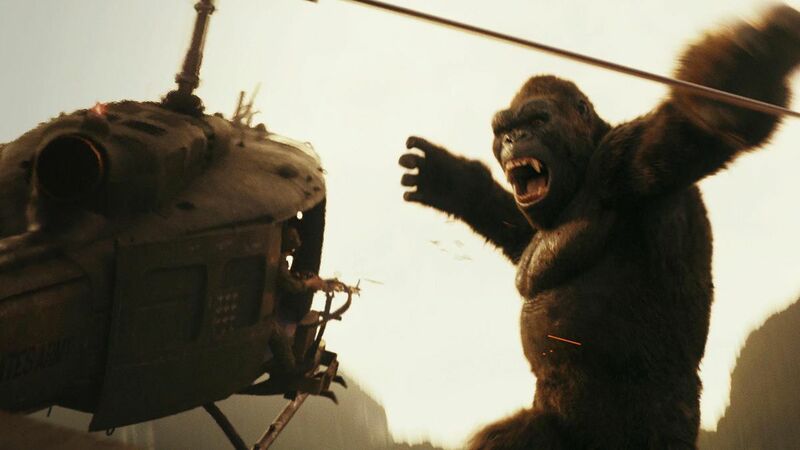 The Newest Rant: Film Friday: King Kong Gets Mashed-Up With a Vietnam War Movie and it Kinda Actually Works AKA, "Kong: Skull Island." 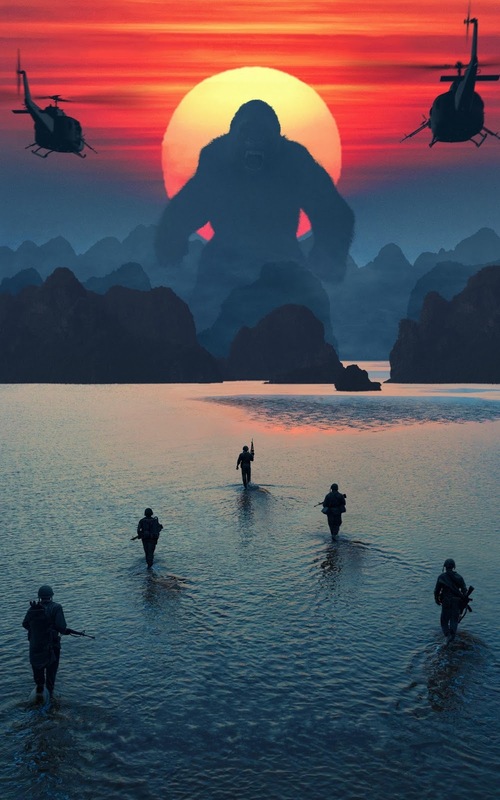 Film Friday: King Kong Gets Mashed-Up With a Vietnam War Movie and it Kinda Actually Works AKA, "Kong: Skull Island." Note: I spoil a scene that occurs after the credits, but if you already know the subject-matter of the upcoming sequel to this movie you're already spoiled, so yah? "Kong: Skull Island," takes a gigantic monster-movie and combines it with a Vietnam-era war film and it actually kind of works, believe it or not. 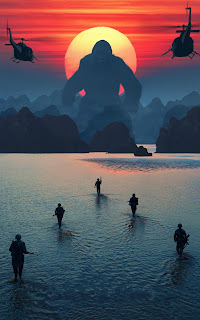 Perhaps it is because we've never seen King Kong in recent memory in any films outside of those set farther in the past or during the present, maybe it weirdly marries the idea of the unwinnable war in 'Nam with the unwinnable war against nature in an allegory that is smarter than you'd expect. Whatever the case, it actually is quite cool and if the film had more of those metaphors and cool action scenes of Helicopters fighting Kong this movie would be a pure winner. Sadly, it gets itself bogged down at some points and goes from being stellar to reasonably good. This movie has an exciting first hour and a great last 30 minutes. Unfortunately, it is a 2 hour-long flick so that means a long half-hour is spent admittedly feeling a little bored. That first hour full of political maneuvering, Kong smashing helicopters, explosions, and the like is just a hoot...before we delve into a whole bunch of plot about monsters that Kong fights and fill-in a bunch of back-story with a mysterious tribe and a soldier who got stranded on the island long ago (a thin role played admirably well by John C. Reily). Thankfully, things pick back-up with some Kong-on-Lizard fighting later on and I quit feeling blasé. Even when the film drags it at least has a solid cast with the likes of Brie Larson, Tom Hiddleston, John Goodman, and the always-excellent Samuel L. Jackson as skilled but also borderline-psychotic sergeant . I haven't talked about the titular star much yet though have I? Kong is a fantastic piece of computer-generated imagery that truly looks alive as he fights and appears imposing even when he's just standing still. In films the point has always been that Kong isn't a monster--he has a soft-side and isn't a threat unless you piss him off--and the amazing animation makes him strong-but-sympathetic. He is a great special-effect and actor, in other words. The surprise cameo after the credits by another famous monster (Godzilla) was spoiled for me long ago, as a sequel has already been announced featuring the fact that Kong and Godzilla are going to fight. I for one am excited to witness that considering I quite liked the most recent Godzilla movie and would rate, "Kong: Skull Island," a solidly entertaining 3.5 out of 5 stars. Should you want to grab a copy of the movie for yourself getting it via Amazon is always handy.